Perhaps I am one of the few teachers who LOVES the last week of school. I make a commitment to my students that the last week of school we have FUN. That's right....I said it. The "F" word. Fun. Fun in school. Can you believe it? It can be done. Every year I do a camping theme for the last full week of school. My students love it and I love it. 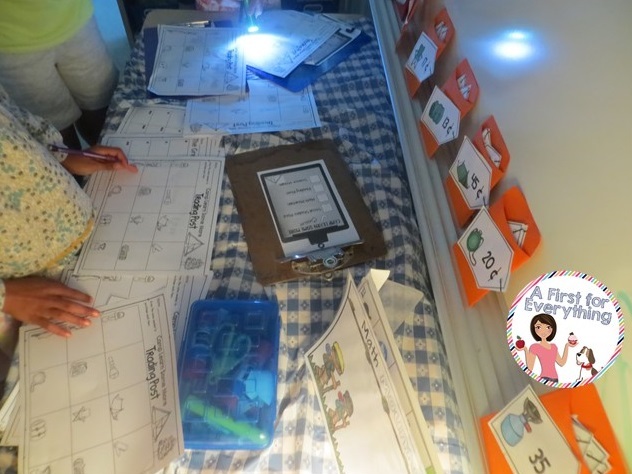 Since we have tables in my classroom, I cover them all with plastic "picnic style" table cloths I find every year at the Dollar Store. I don't try and save them. Some things are just not worth it, in my opinion. I found this campfire by googling "campfire" on YouTube that I keep playing all day for added ambiance. We leave the lights off, and camping lanterns also help "set the mood." The kiddos love bringing in flashlights and sleeping bags too. Inside the tent, I placed a cooler filled with camping themed books. Charlie, our beagle and classroom mascot really enjoyed being "read to" throughout the day. I borrowed 2 tents from parents since I'm not a camping type of gal. 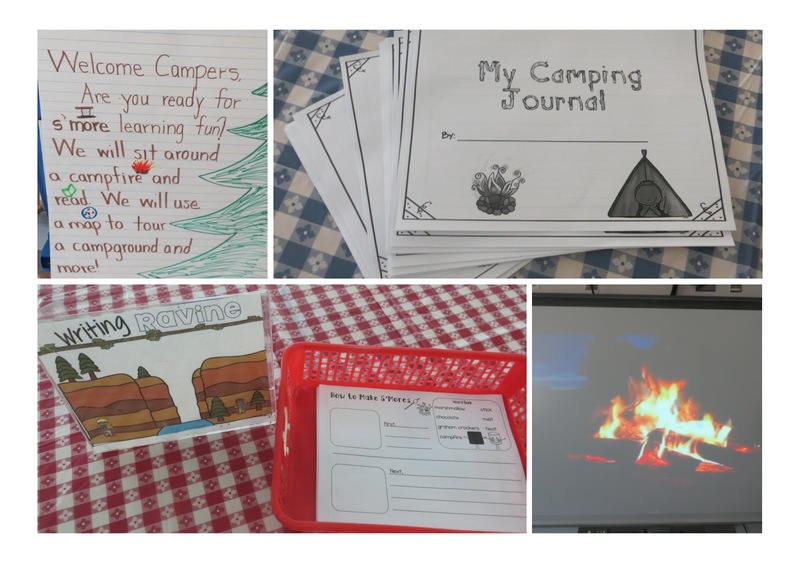 My first graders really handled the freedom and flexibility of having various tasks at "campsites" well. 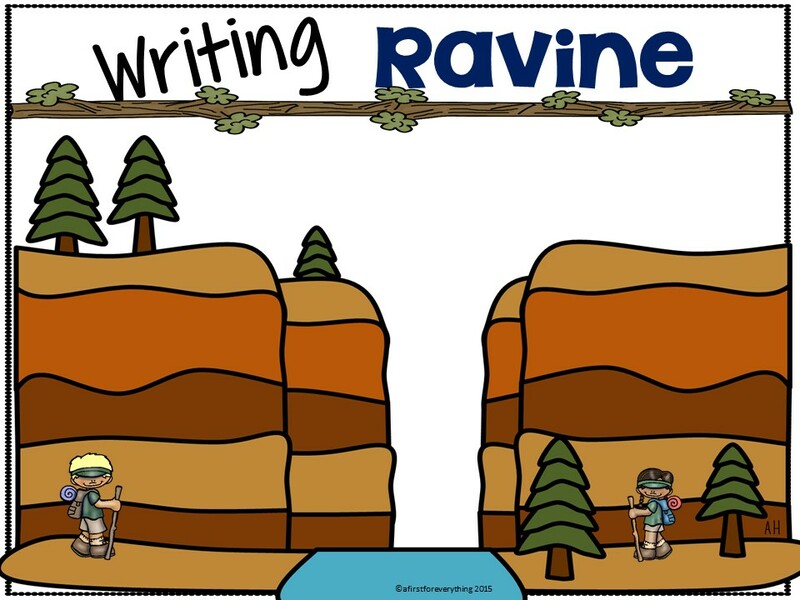 We went over the rules and expectations beforehand and this helped to set the tone for success. 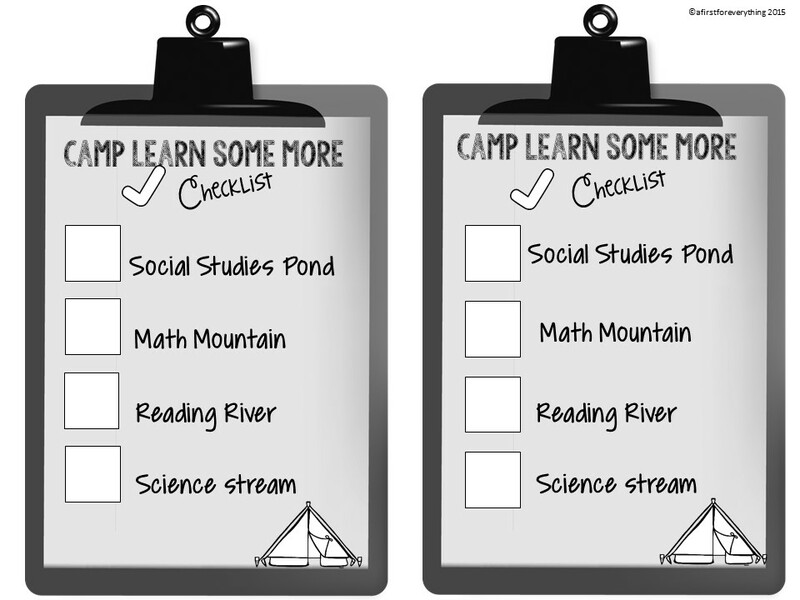 The Math Mountain campsite has time to the hour, half hour and a few time to the quarter hour task cards. 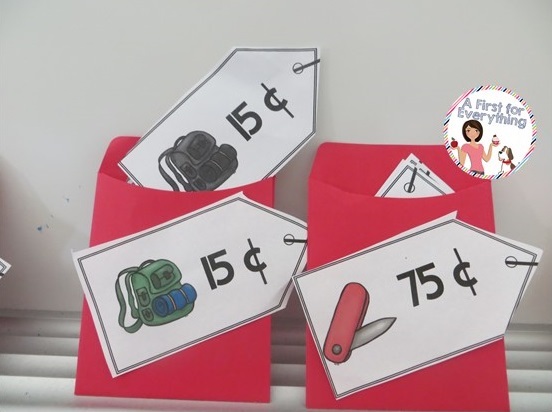 The campsite also has a Trading post where students can "purchase" various camping supplies by showing the coins needed to make each purchase. The Social Studies Campsite is a popular choice for a great review of mapping skills and cardinal directions. 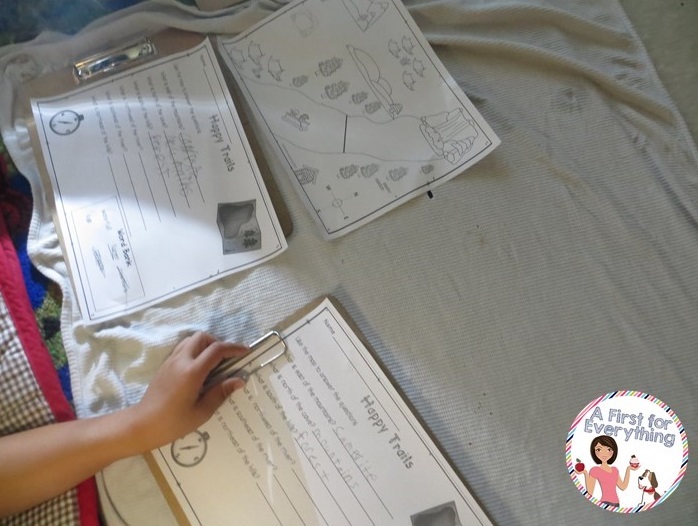 Here, students use a map to "find logs for the campfire." 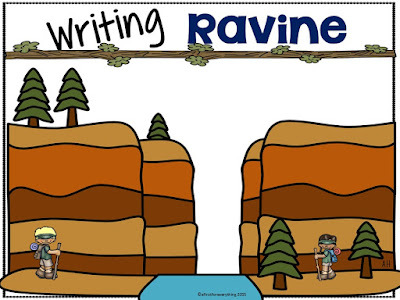 The Science campsite has us venturing outside. You can't go camping without being outdoors, right? 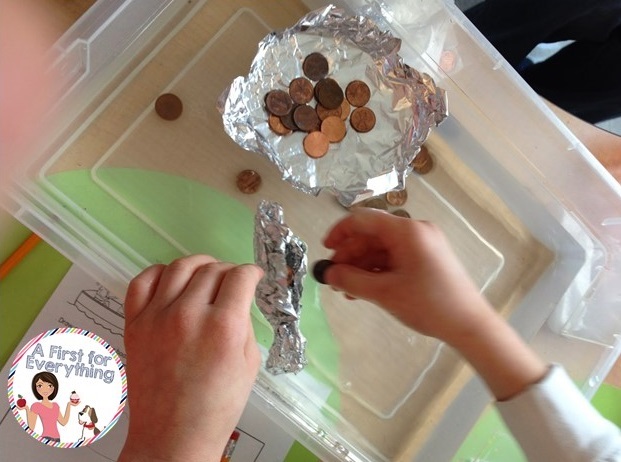 By far, creating a boat out of tin foil and filling it with pennies for a fun STEM project is a favorite with the campers! We made predictions, weigh, measure, plan, work collaboratively, and make comparisons with this super fun activity! and some dot-to dot- constellation work to review counting by 5's. Of all the campsites, as I'm sure you can guess, the tent is the favorite, so I save that for the reading campsite. We call it "Reading River." 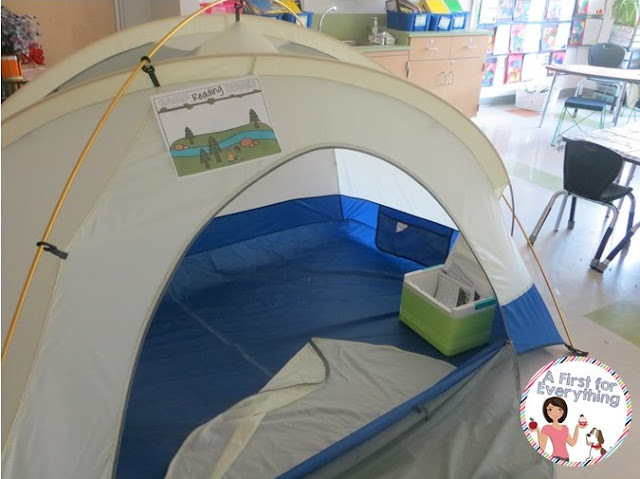 At Reading River, students enjoy close reads on camping, bears, squirrels, and ants by flashlight inside the tent. 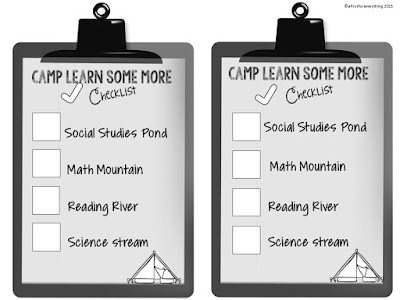 Campers can earn badges when they complete the activities at each campsite. So.....Are you ready to go camping? 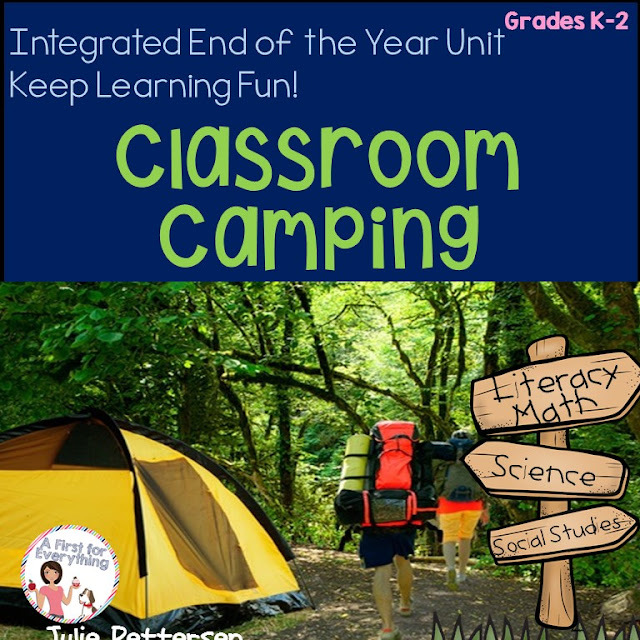 You can find this Classroom Camping Resource here. 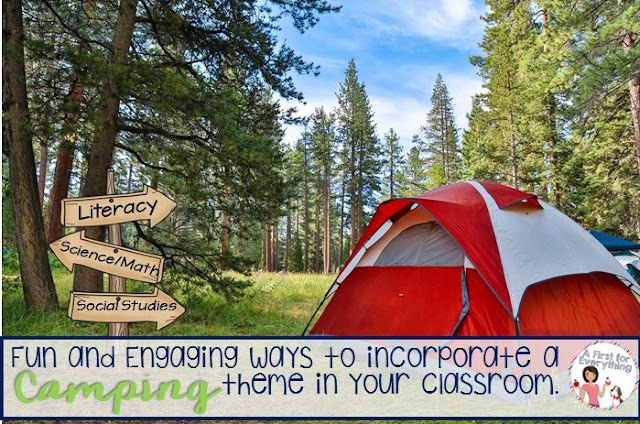 Do you do any fun end of the year themes in your classroom? I always love hearing from you! Julie, this looks amazing! 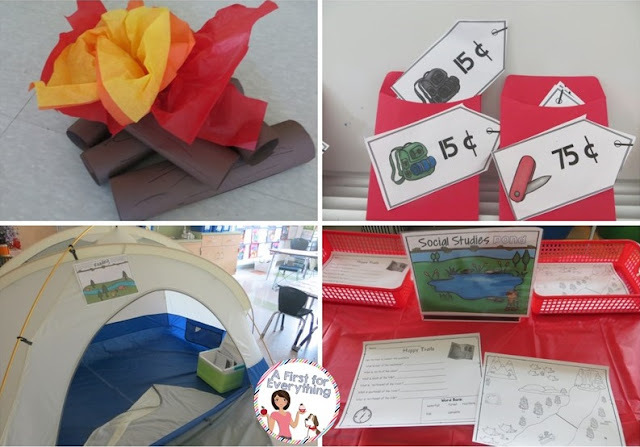 I needed more ideas for my camping day next week, and this is just perfect! Thank you so much for sharing!